Time to change genetics in the herd so we are offering Trinity for sale. She will make a great addition as a foundation female. 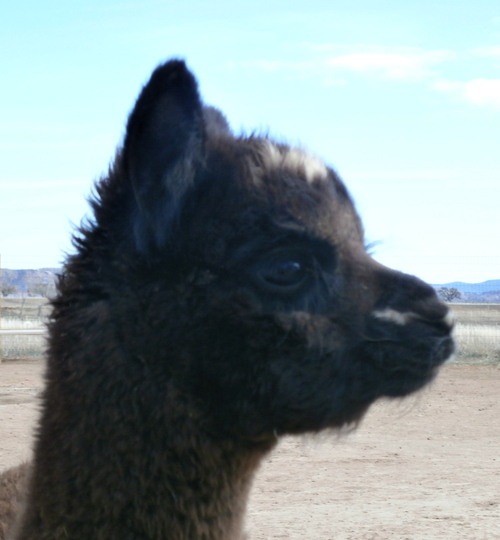 Trinity is a very nice female with tons of dark silver grey/dark indefinite fleece. 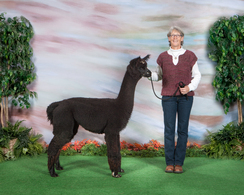 CCNF Andean Fury is her sire so you know she has great genetic background. Dam's side brings in the genetics of Pperuvian Camilio, Ppperuvian El Mustachio and Pperuvian Victor. Not too shabby! 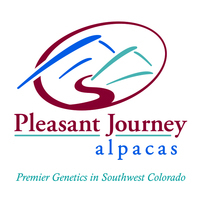 Congratulations to Leroy and MaryJo George of BookCliff Alpacas on the addition of PJA Colorado Starry Nite to you herd. 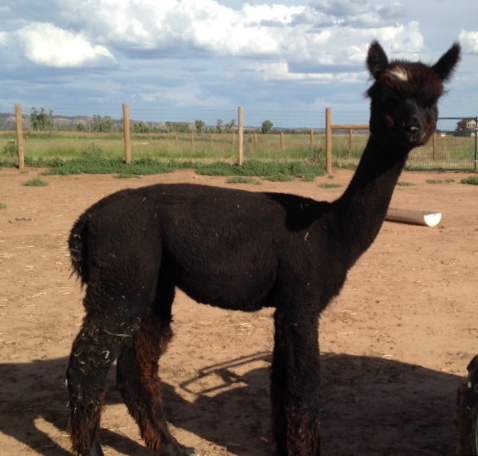 Colorado Starry Nite is a wonderful young female! 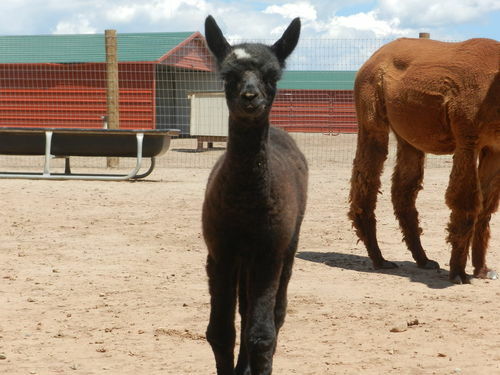 Sired by our own NeverSummer's Manchester, she is exhibiting wonderful traits as a young cria. 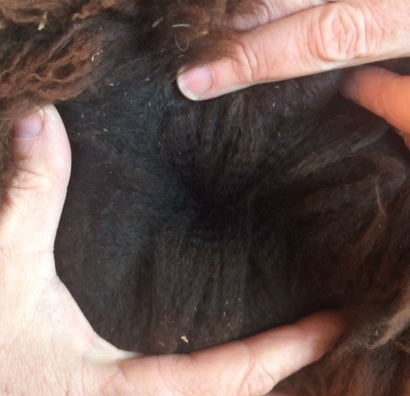 Her true Black blanket is very crimpy and showing good density. Her adorable face with the bits of white just contribute to the "cute factor" on this girl. She is beautifully conformed and showing big bone structure. 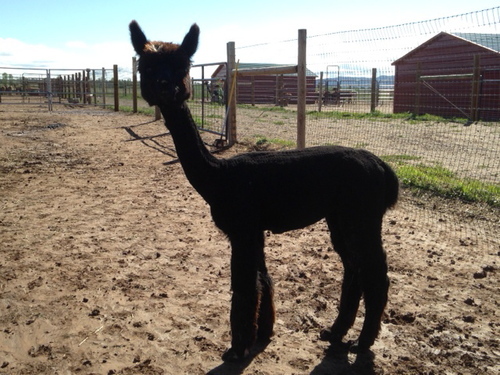 Starry Nite will make a great addition to any herd!